This project, financed through the Päijänne-Leader LAG and implemented by Päijänne Tavastia Association for the Development of Welfare Services, focuses on welfare and healthcare services targeting the elderly population living in rural areas. The Päijänne Tavastia Association for the Development of Welfare Services has been set up by private-sector and third-sector social welfare and health care organisations, to run an advisory centre called Palvelu Santra in Lahti. The concept of the project is based on the Irish ‘Friendly Call’ service, which operates in many parts of Ireland and involves a network of trained volunteers who make periodic telephone calls to old people at agreed times. This service was found to be extremely well suited for Finland’s sparsely-populated countryside. The main objective of the project is to reduce the sensation of loneliness and isolation for old people living in rural areas. A secondary goal is to launch the service in the target area and to develop a model that can be mainstreamed across all rural areas as well as in cities. 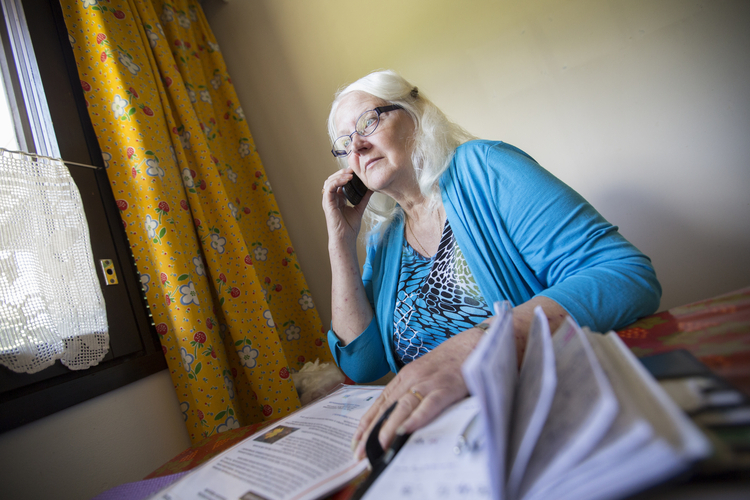 A network of trained volunteers was set up to provide friendly and confidential support to older people through regular phone calls. Promotional events were organised to inform residents about this new service. Once potential users were identified, the time and frequency of the calls were directly agreed with them. To facilitate the fruition of the service, mobile phones specifically designed for the elderly were distributed to users. The service has been launched in five communes. Feedback from customers, social welfare and health care organisations has been extremely positive. More and more local authorities are joining the service, while the municipalities where the service is already operational are experiencing a steady increase of both volunteers and customers.The project has also contributed to developing a functional, coordinated volunteering model.